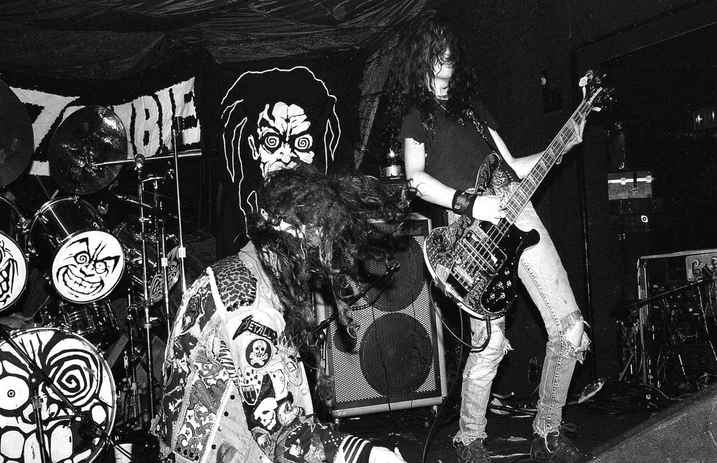 After forming in 1985, New York’s classic band White Zombie disbanded in 1998. However, the band’s previously out-of-print discography is being reissued by Numero Group. The exclusive boxset, White Zombie: It Came From NYC, releases June 3 and features early EPs and LPs from the now defunct band. Check out the tracklistings and a teaser video below. Remastered by guitarist J. Yuenger, the 39 tracks are packaged alongside original artwork and accompany a 108-page book documenting White Zombie with unpublished photos, period discography, a T-shirtography and stories. The complete package includes five LPs or three CDs, 108 page hardcover book, 20,000 word essay by Grayson Currin, a flyer gallery, complete shirtography from 1985 to 1990, 50 previously unpublished photographs, and black, green, or white vinyl. Pre-order is available now. Rob Zombie was White Zombie’s co-founder, with girlfriend at the time Sean Yseult.